Written by Kim on August 23, 2015. Florence as seen from Piazzale Michelangelo. I didn’t know it at the time, but the journey I embarked upon five years ago today would change my life forever. After hugging my family goodbye, and waiting anxiously to board a plane for the very first time, I settled into my seat and gazed out over the ocean—wondering what the heck I had just done. Two days before my 21st birthday, two friends and I left for our study abroad in Florence, Italy. It was my first true travel experience. Sure, I’d taken a road trip or two back in the states, but no one in my family was much of a traveler, so it was never a big part of my life. I was so hesitant to go. It was my last semester of college, and I either needed a 12-credit internship stateside to graduate, or a study abroad. My roommates were going to Italy, and talked me into it, as well. I owe them both one enormous debt of gratitude. I won’t pretend like it was the easiest four months of my life—it certainly wasn’t. It was filled with a lot of homesickness, drama between friends, and anxiety that comes with being 4,000 miles away from your mom for the first time. But it was a time filled with great adventure. It’s the single period in my life that I look back on with the fondest of memories. It was a time marked by courage and self-discovery—and it set something in motion that can never be undone. It was during this trip that I became hopelessly—eternally—addicted to travel. And I’m SOOO excited to be going back! I was thinking the other day that with as much traveling as I’ve done throughout Europe, I’ve technically only been there once. Let’s be real, I know I haven’t even scratched the surface yet, but 10 countries in 16 weeks was still a lot of ground to cover. So, where are we going for this epic 3rd-anniversary trip? The first stop will be Rome. It’s a city that I didn’t particularly like the first time around. Don’t get me wrong, it’s a beautiful place, but sometimes it’s hard to look beyond the hordes of tourists. I am desperately going to try this time. Kyle hasn’t been there yet, so I’m curious to see if I end up liking Rome through his eyes. I have a few very distinct memories I want to relive—the awesome gelato near the Trevi Fountain, standing in front of the Colosseum at night, and dining near a large building with a hole in the roof—and we wondered how they kept the floor dry when it rains. Naturally we later found out it was the Pantheon. College students at their very finest, folks. Next, we board the Celebrity Reflection bound for Greece and Turkey. 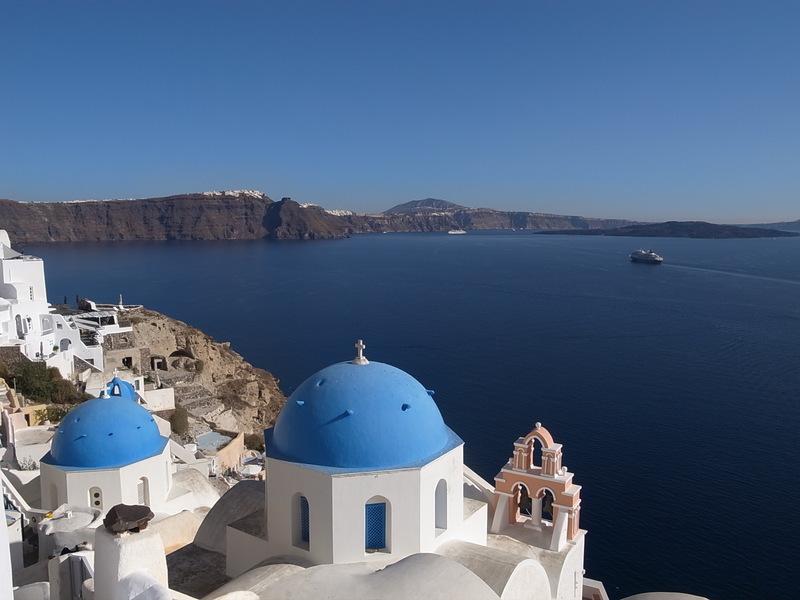 I have been dreaming about the white-washed cityscape of Santorini for the last year. We debated spending most of our vacation on Santorini alone, but we knew we wanted to see more places—and a cruise seemed like the only realistic way to do that with limited vacation time. We’ll also get to explore Mykonos and Athens. 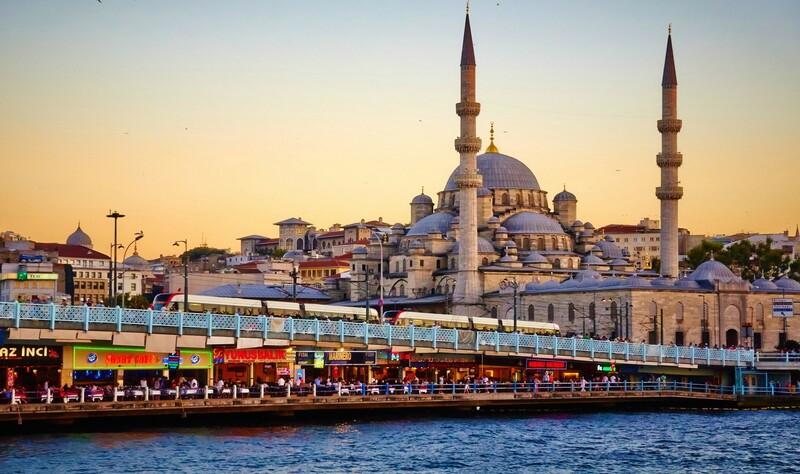 I am so excited to be heading to Istanbul on this cruise, too! It’s a city Kyle has wanted to see for a long time. It was never that high on my lengthy bucket list, but now that we’re headed there, I’m thrilled! Hopefully Kyle will be able to pry me away from Christmas shopping at the Grand Bazaar long enough to appreciate the beauty of the ancient sites. We are also stopping in Ephesus, Turkey, and Naples, Italy, before heading back to Rome. 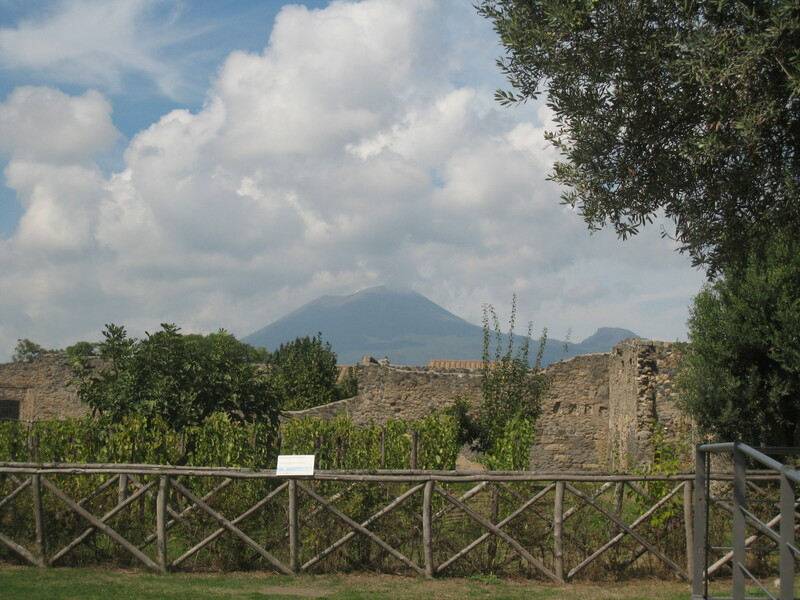 Kyle is so excited to see Pompeii (although I desperately wanted to return to Capri, but I’m letting him have this one!) He convinced me to go there by saying that studying these ancient ruins was what made him first want to be an archaeologist. That worked out well for him. 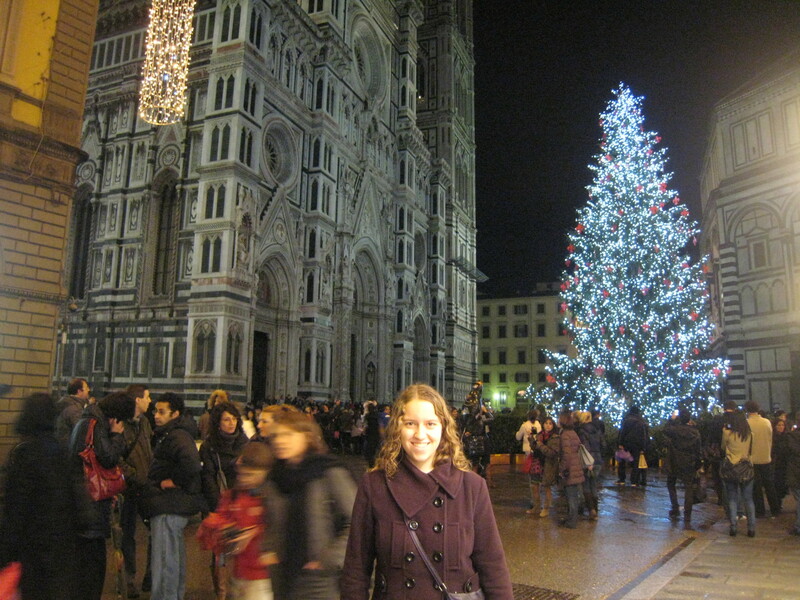 Once the ship docks back near Rome, we immediately hop a train bound for Firenze. It’ll be a whirlwind as we only have one night to spend there, but I didn’t want to be that close and not go to the city that changed my life. I look back and realize how little I appreciated it. Hate is a strong word, but I really didn’t like Florence. It was the place I had to go back to every Sunday. It was the place where I did homework and boiled pasta. 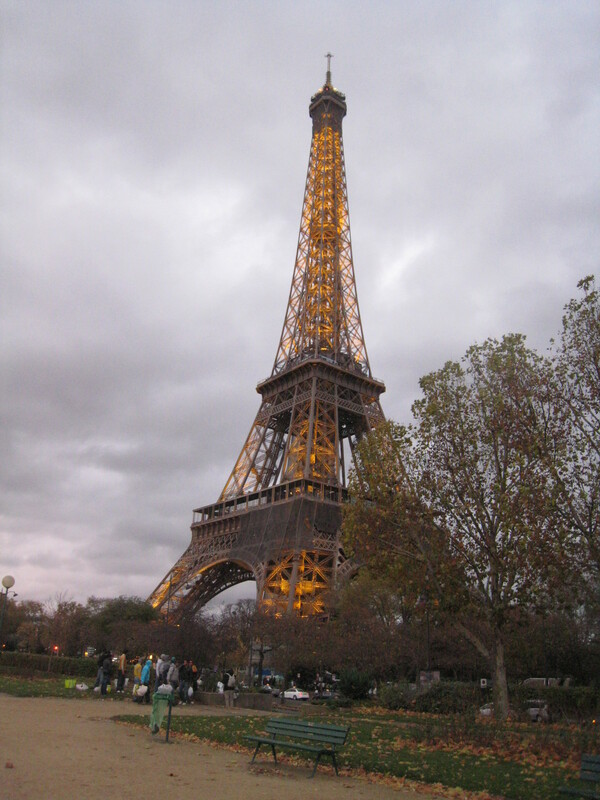 It was the place I got stuck in tourist groups and was harassed by gypsies and vendors on the way to school. It was dirty. It was loud. It was home. And you never truly appreciate where you live. Nothing has taught me that more than working in tourism for my home region these last five years. I am excited to return to this city with a fresh perspective. I’m more than ready to begin my love affair with what is often called the greatest city in the world. After Florence, it’s back to Rome for one night before saying goodbye to Kyle for a couple of days while I head to France for work. Each year, we take a hot glass stage over to Domaine de Boisbuchet, a design workshop in southern France, and I’m so excited to see this in action. I’ve heard so much about the laid-back vibe and inspiring collaborations. I won’t even be there for 48 hours, but it will be a great experience. Then it’s on to Paris for one night of some whirlwind exploration before hopping on a plane to Rome early the next morning to catch another flight back to New York. It’ll be an amazing couple of weeks. Make sure to follow along on social media! I’ll be sharing lots of beautiful pictures on Instagram @bytesizetravel.